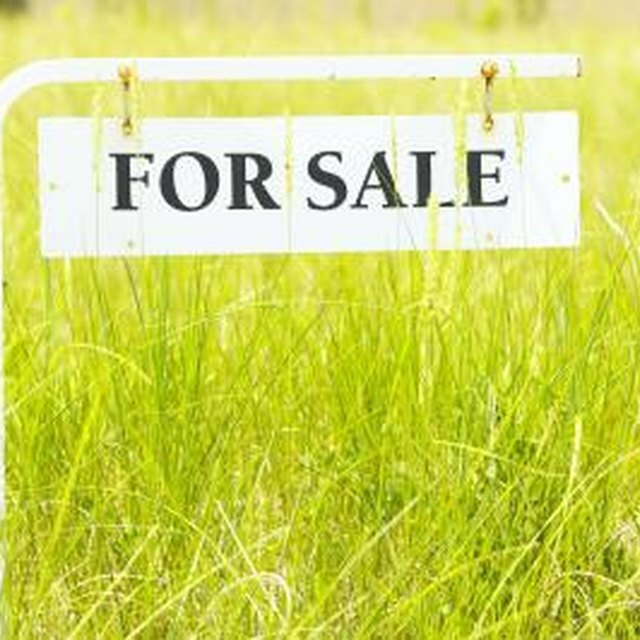 Raw land isn't an easy sale due to development costs and any building or construction uncertainties. There are ways to boost virgin soil’s worth relatively cheaply depending on details including location, timber availability and soil. The question is which idea is right for you. Sometimes you can even take a wait-and-see attitude and see if market and area conditions lead to value appreciation. Unless you are going to establish rice paddies, raw land that does not drain well or holds standing water from flooding or heavy rains can wash away profit. Underground drain tiles allow water to disperse, and increase value by increasing area for growing in, or grazing or building on. At the time of publication, tiling costs around $700 per acre -- a modest investment if the water situation is turning away potential buyers, the market is on an upswing and your land is accessible and in a desirable location. An attractive view -- a lake or stream, rolling hills or city lights -- increases the value of land. Walk the perimeter of your property; if trees block a view, consider having them removed. Your forest service office can provide you with a list of consulting foresters who can explain any legalities and tax issues, and help with a timber sale, which puts money in your pocket. On the flip side, blocking an unattractive view by strategically planting fast-growing trees can make your land more salable, and help reduce unwanted noise, such as that of traffic. Buying land that is already fenced in is attractive to some buyers, and it is relatively inexpensive depending on the type of fence. At the time of publication, barbed-wire fence installation costs about $16 per hour for labor, materials and tools, while woven-wire fencing costs slightly less. You can eliminate labor cost by doing the work yourself, and reduce the amount of needed posts by stringing the wire from existing trees. Cross-fenced land, especially in ranch territory, has value to buyers who want pasture area. Consider that animals need access to shade and water, and consistent vegetation when planning such a project, and that uniform pasture areas make the most visual and economic sense. Visit your city’s planning department to obtain a plot plan, future development plans in the general area, and your land’s zoning information -- for a nominal fee -- if you don't already have this information. Discuss the fair market value of your land's zoning and any findings with your real estate agent. Talk to local utility companies to find out if any underground services, such as power, water or sewer, are in place; such hidden features can be worth thousands of dollars, and should be reflected in your land's price. A landlocked parcel or land that is blocked in by surrounding properties may be worthless, which makes hiring an attorney to draw up a possible easement for access good value. You may be entitled to an easement that allows you access through an adjoining neighbor's property -- such as when the neighboring properties were originally subdivided from one tract. Legal access substantially increases property value. When it’s time to sell, have any legal documentation and receipts handy to verify the land's features and the improvements you've made -- they’re not always evident. Simply keeping the area free of garbage, and the weeds or underbrush down for ease of access can aid a sale.